Share a few of your project details with us and we'll provide you with a free on-site estimate. Our service is the best, and we want to make you our next satisfied client. Sebastian Painting LLC has been built on the philosophy of quality first. We're in the house painting business for sure, but our goal is to make every interior and exterior we work on a true home. We know that every project is different, so we take the time to understand your vision and work diligently with you to bring it to fruition. Search for us online under "Painting Contractors Tucson"
Like all things in life, it depends on the project. We charge per square foot as a base cost for a project. The real cost savings rests in choosing a painting contractor that doesn't cut corners and doesn't look for opportunities to add fees here and there that can increase your final cost. As a local company Sebastian Painting LLC offers a high quality residential painting and commercial painting service in Tucson, Arizona. We are fully licensed, bonded and insured, and specialize in home interior decor, exterior painting as well as commercial painting projects. We never cut corners, water down your paint or participate in any other common practices in our industry. We know that doing a great job for you means you're more likely to call us again and refer us to family in friends. 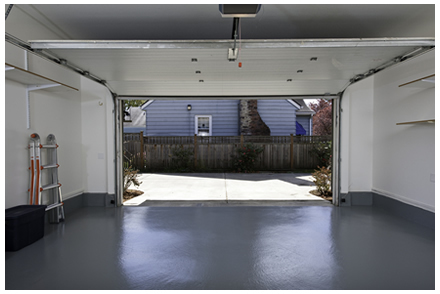 We're the best local painting contractor because we believe in earning your business and your trust. We serve the Tucson, Oro Valley, Marana, Foothills, Green Valley and , Greater Tucson areas. We offer free painting estimates, for all house painting and commercial painting projects, and stand by our work with a written guarantee. At Sebastian Painting we put quality and customer service first because that's how we'd expect to be treated. Dave Sebastian is the founder/owner and built his Tucson painting company to provide the type of customer service he saw lacking in so many painting companies in Tucson. 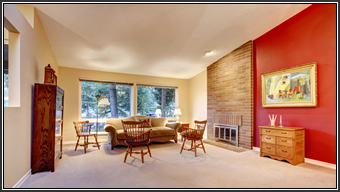 Our painting craftsmen are highly experienced and dedicated to making sure that you, the Customer, are completely satisfied with your home or commercial painting project. Our ultimate goal is to have you as a customer for life, and we know that can only happen when we give you great service, and provide outstanding work at a fair price. We're on our way to becoming the number one painting company in Tucson, and you'll see why when you use Sebastian Painting LLC as your Tucson painting contractor. What type of painters would work on my project? We only hire expert craftsman and who are thoroughly screened. In order to become a painter for Sebastian Painting a craftsman must go through extensive training to be professional, energetic, and courteous. Sebastian Painting Company is becoming the standard for what a painting company in Tucson should be, and you'll see the difference from the time we give you a painting estimate to when you view the final results of our work. We get the job done right, and you'll know you've made the right choice after working with Sebastian Painting. Thanks for stopping by. 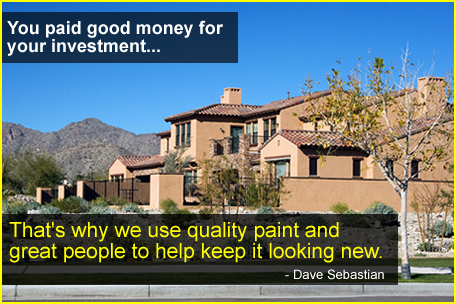 If you are are looking for a painting contractor in Tucson, Arizona look no further than Sebastian Painting Company. We offer a high quality residential and commercial painting service, and we look forward to providing your painting needs. Our company is based here in Tucson to provide your with great local service, so feel free to contact us if you have any questions.